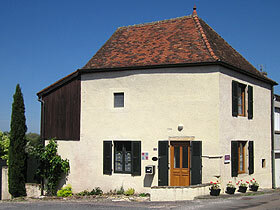 La Maison du Curé is a self catering gite in the popular village of Cormatin, south Burgundy. 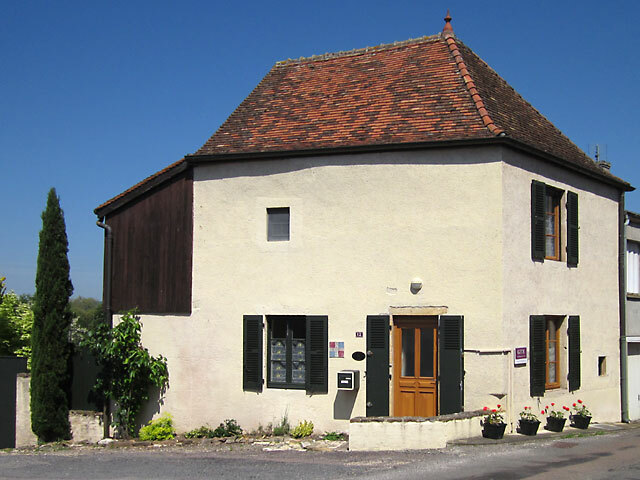 It is ideally situated for visits to Taizé and Cluny and is available throughout the year. This cosy holiday cottage has 3 bedrooms sleeping 5/6 people. It has gas central heating. The kitchen is modern and well equipped with separate dining room. The spacious sitting room overlooks the enclosed garden with its sunny eating area. We have table tennis and bicycles. Guests have the use of free WiFi, and the television receives French digital and English satellite channels. The DVD player has a small library of DVDs. Cormatin is renowned for its well preserved Louis XIII chateau with original decoration and fabulous gardens. It is a very popular village with those attending the courses at the ecunemical centre at Taizé (5 minutes by car). The village caters well for its visitors with a good choice of restaurants, bars and cafés. If you want to eat in you can buy excellent local produce from the two boulangeries and the grocer. At the wine shop you can sample the wines from the surrounding vineyards of the Mâconnais, Chalonnais and Beaujolais regions. Cormatin is midway between Chalon-sur-Saône and Mâcon. The local towns of St.Gengoux-le-National with its winding medieval streets (10 minutes by car), and Cluny with its Benedictine Abbey (15 minutes) are well worth a visit.